Soak the area on the paver with cold water. Use a hand-held brush to scrub away the bird droppings. If the droppings are fresh or have not been on the paver for long, simply scrubbing with cold water and a brush may be all you need to do to effectively remove the mess. Mix 1 part mild dish detergent with 3 parts water, and apply the solution to the stain on the pavers. Scrub with a brush, and rinse with cool water. Use a pressure washer for pavers that are heavily soiled or that do not respond to the other methods of cleaning. 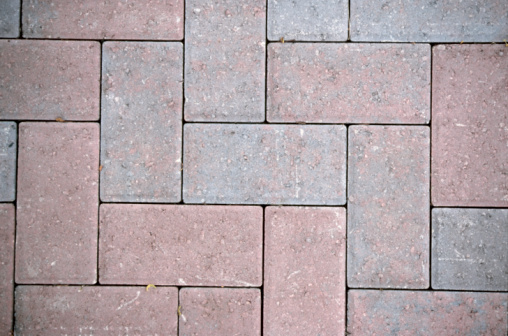 Use a medium pressure spray to cause the least amount of abrasive damage to the pavers. The water from the jets removes any droppings or residue left on the surface of the paver, and washes away miniscule layers of the paver's surface to clean more deeply than you could with a brush.